Anyone with an interest in helping co-workers reduce their stress and build their resiliency can initiate and drive the introduction of a mindfulness practice at work. Wendy Quan is a certified organizational change manager who has created an innovative way to build personal and organizational change resiliency through meditation and mindfulness. 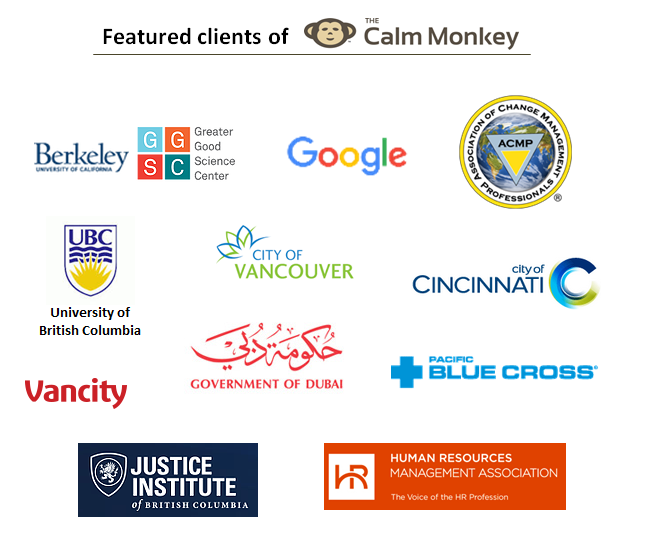 Wendy has two published papers on this subject with the worldwide Association of Change Management Professionals, speaks at conferences, has taught at UC Berkeley’s Greater Good Science Center and has wonderful clients such as Google. Wendy is a leader in the change management community and founded the Vancouver Change Management Practitioner’s community of practice. Her career has also included management in human resources, organizational development, coaching and information technology. Through her change management experience and successful journey through cancer, Wendy delivers results in a practical, open manner that has broad appeal and evidence-based benefits.